I started my natural hair journey in 2009 and the number one question I get from other naturalistas is what did I do to grow my hair so long. My answer? I simply stopped getting relaxers… there’s some genetics going on too, though. It’s really about length retention and not growth. 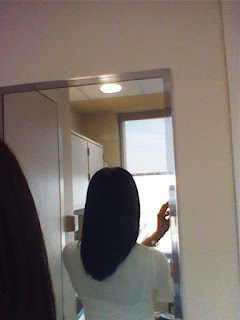 I always state that just because you stop relaxing your hair, does not always mean it will grow to waist length. Many women become discouraged and disappointed when they do not reach the length they want quickly. 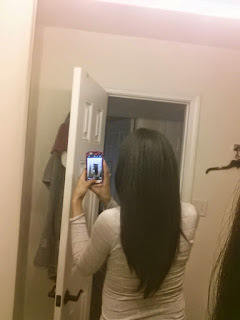 Length retention is possible! 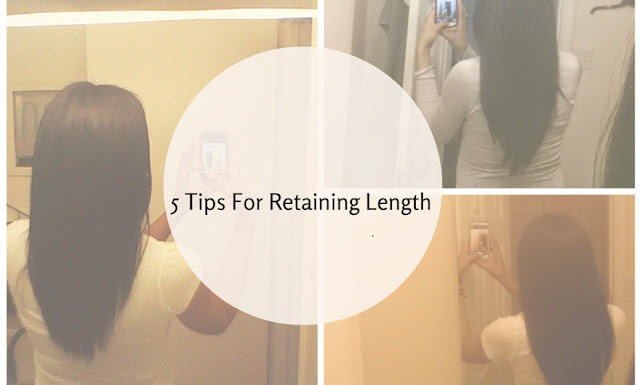 I will share with you a few of my tips that helped me retain length over the years. You have to protect those precious ends! The way that I keep my ends protected is always sealing them with oil. I love coconut oil on my hair but there are others that you can use that you may like better (jojoba, olive, grapeseed etc). I usually wear my hair in twists or a high bun. This also protects them because they are tucked out of the way. This is a big one for me. I’m a lazy natural and I like to keep it very simple most of the time! I love a rod set sometimes, LOL! I mainly rock twists for a day, then wear my hair out for up to 3 days then bun it until it is wash day. I try not to touch or mess with my hair too much. This helped my hair grow and helped me to retain length. I deep condition my hair at least every other week. I always want to make sure that my hair gets ample amounts of moisture. Deep conditioning helps protect your hair during styling. Now this may shock you. I only trim my ends when needed. I am getting my hair straightened this weekend so I will get a trim then. I had my ends trimmed in March of this year as well. I always make sure to use a wide tooth comb and gently detangle my hair. I always detangle my hair in the shower when it is wet. I also finger detangle over detangling with a comb. These are some of my techniques and tips on how I retained length during my journey. there is no magic trick to length retention. You just have to build a regimen, stick to it, and be patient. What are some of your length retention tips or methods?